Monday is the most dreadful day of the week. I can't wait for Friday to come again. 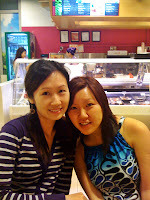 Meetup with Mey and Airene at Raffles City. Airene suggested Japanese food and I thought we are going to some posh place. 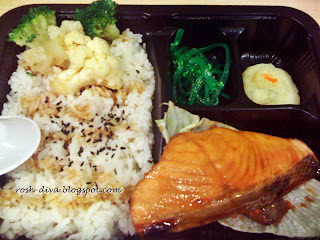 It was Niwa Sushi at Citilink :) The set meals are really economical. 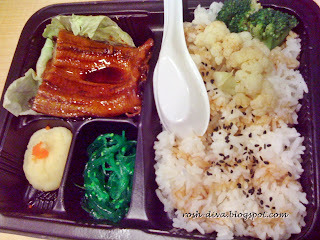 Unagi set $6 and Salmon teriyaki $5.30. It was my first time there. The place is clean and neat. I wish Raffles Place has this. I had the unagi and I find it quite value for money. The unagi is fresh and isn't too salty. The side dishes are seaweed and mash potato, which are cold. A little weird to have cold mash potato. I didn't finish it. The rice is just normal plain rice (not Japanese rice) and nothing to shout about. Anyway, both of them yak alot. As usual, I am the one listening. We yak so much until the sales person at the counter was staring at us, kinda hinting us to leave. 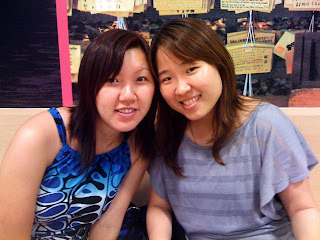 We went Xin Wang Taiwan cafe for drinks and longer yakking session before heading back home. Don't worry, be happy. Will keep them in my prayers. I seriously can't wait to cya soon!!! hehehe :) I can't wait for the 10th too. I intro my chio-est friend to everyone. @Vialentino, I am so honoured *shy*. I am more of a beauty blogger. 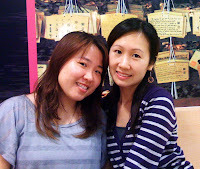 But recently have been invited to food events as well. I really enjoy hanging out with like-minded people.